Spanning two acres, the Let All the Children Play facility at Eisenhower Park in East Meadows, N.Y., is the first fully accessible children's playground in the county. A version of this article appeared in the October 2012 print issue with the headline: All access fun. Nassau County, N.Y., now has a place where children in wheelchairs can ride a carousel while kids with balance issues play nearby on specially adapted swings and seesaws. Spanning two acres, the Let All the Children Play facility at Eisenhower Park in East Meadows, N.Y., is the first fully accessible children’s playground in the county. 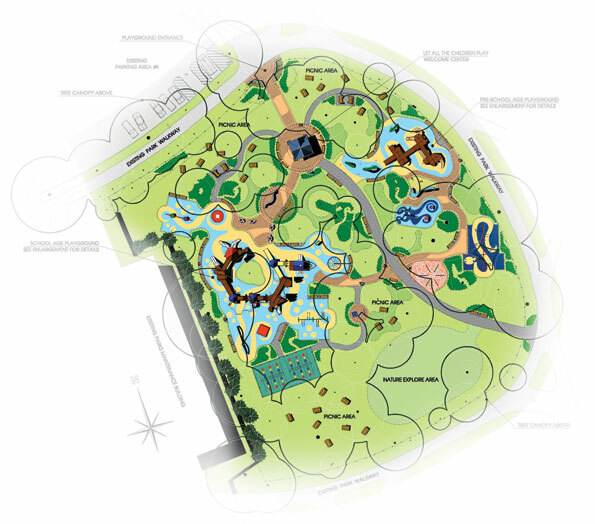 The Department of Parks, Recreation and Museums partnered with the Long Island, N.Y.-based Let All the Children Play Foundation (LATCP) to create the $1.25 million playground that features wide pathways, two play areas based on age and a 51-foot-long play bridge. Funding sources included a county bond act, state grants, county funds and private donations. Patchogue, N.Y.-based BBS Architects, Landscape Architects and Engineers served as architect, landscape architect, site engineer and construction administrator. 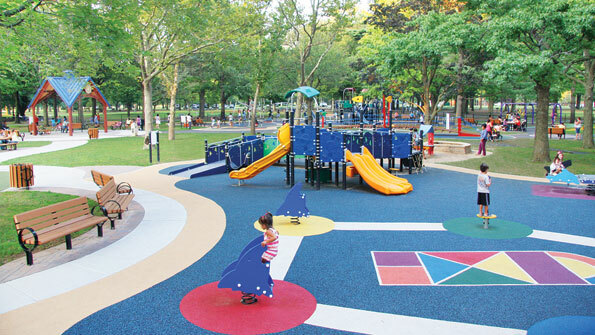 The play equipment and surfaces are made from recycled materials, a runoff control system discharges rainwater into the ground and porous materials serve as the base for the safety surfacing. Since the playground’s opening this past summer, the LATCP Foundation has been organizing activities and events at the facility, such as Sand Art in the Park. “We have dedicated ourselves to breaking down barriers and improving the lives of children with disabilities,” says Nassau County Executive Edward Mangano.